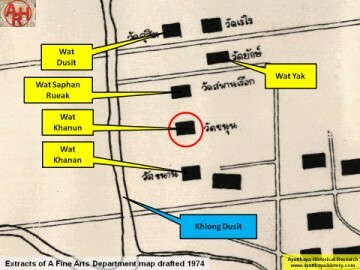 Dusit on the same north-south axis as Wat Dusit, Wat Saphan Rueak, and Wat Khanan. 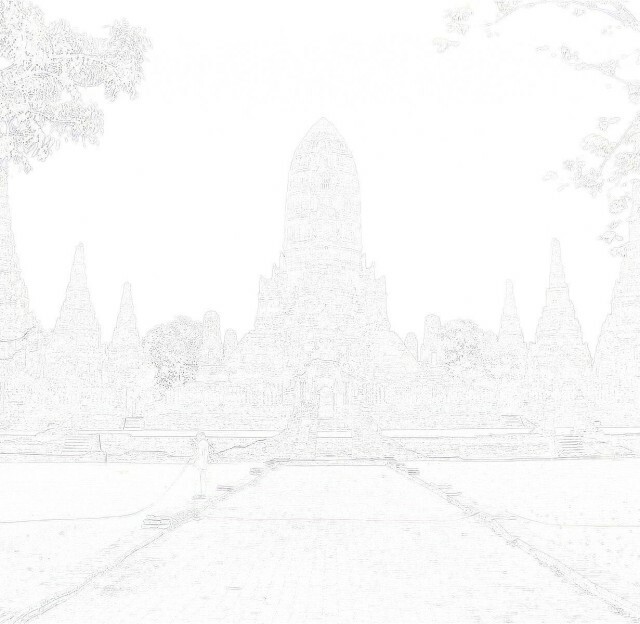 Wat Khanun was situated between Wat Saphan Ruek and Wat Khanan. season when the junks set sail for China milled rice was sold as provisions for the junks. 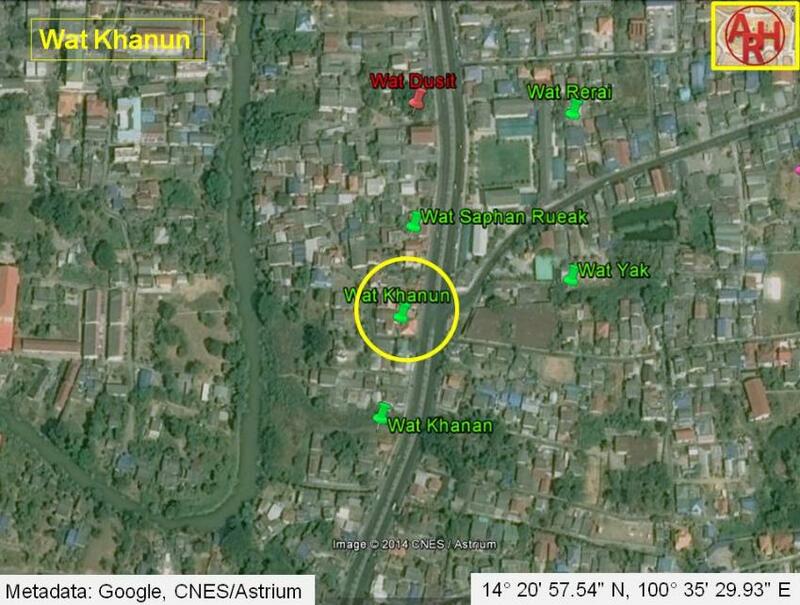 (1) On Sanburi see footnote (1) on Wat Khanan.